A stunning five-shot swing over the final two holes of Saturday’s third round enabled Tony Finau regain control of the WGC-HSBC Champions in Shanghai as defending champion Justin Rose slipped back into a tie for second. 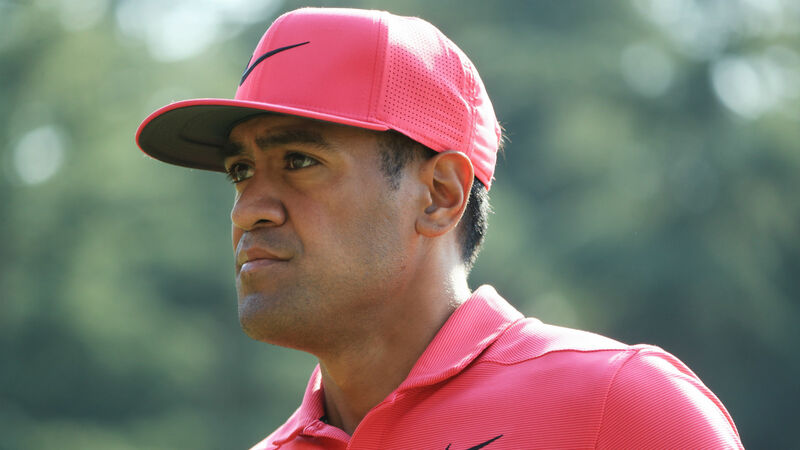 Finau had led by three overnight at 11 under but was 2 over through 12 on Saturday and saw Rose — who is looking to become only the second man after Tiger Woods to retain a World Golf Championships title — take charge atop the leaderboard. Rose appeared set to be the leader heading into the final round when he moved to 5 under for the day and 13 under for the week — two clear of Finau — with his sixth birdie of the day at the 16th. However, Rose then finished double-bogey, bogey and Finau took full advantage by following a birdie at 16 with birdies on 17 and 18. That left the American with a three-shot lead once again, with Rose alongside first-round leader Patrick Reed and Xander Schauffele at 10 under. Schauffele’s third-round 69, which included a double-bogey at the sixth, saw him make up a one stroke on Finau, Rose and Reed. “It was a good finish. I needed it,” Finau said. “I’m really pleased to still have the lead going into tomorrow. I feel pretty fortunate. Tommy Fleetwood’s hopes of overhauling Race to Dubai leader Francesco Molinari, who is way down the field this week at 10 over, were dented as he shot 72 to slip five off the pace. Fleetwood and Reed are Molinari’s nearest rivals, but would each need a win this week to take over the top spot. World No. 1 Brooks Koepka is 2 over after a 71, and Dustin Johnson and Rory McIlroy slipped to 4 over and 8 over, respectively.